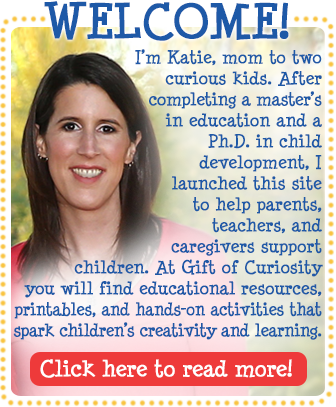 I think it is important for everyone – adults and children alike – to have an understanding of how the human body works. 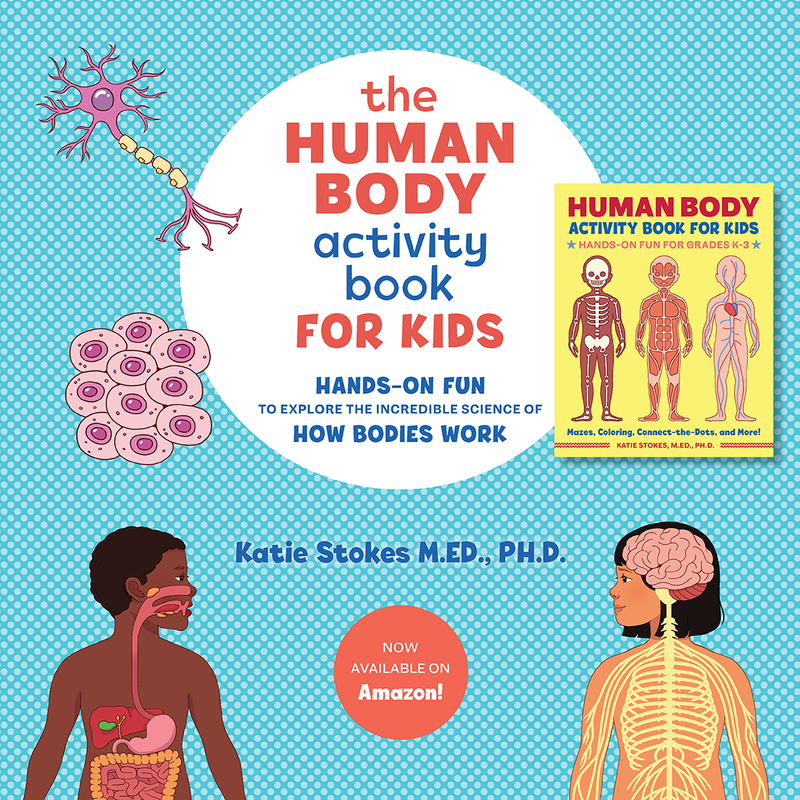 When we have insight into how our bodies work, we are better prepared to care for our bodies so they can last us a lifetime. 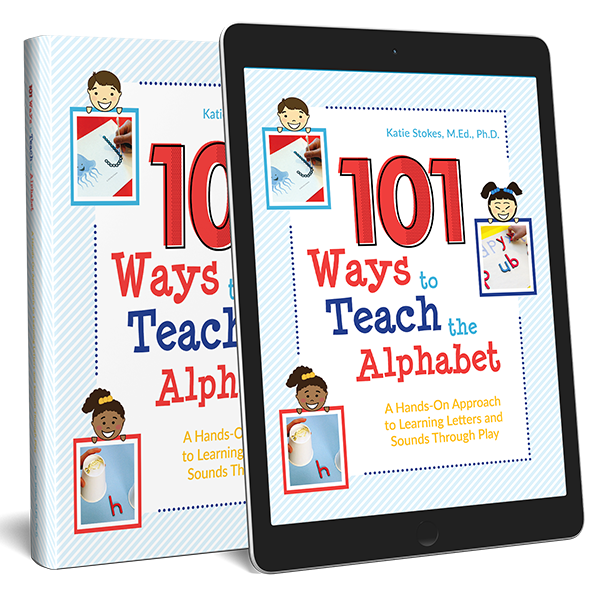 These Montessori-style nomenclature cards can be used to help children learn to identify key organs in their bodies. 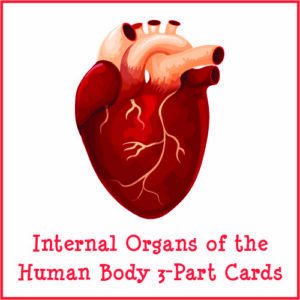 For each organ, there is a picture and label card, a picture-only card, and a label-only card. 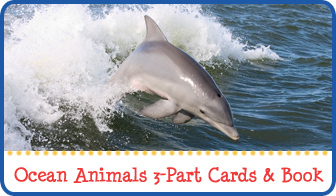 In addition, for every organ I have included two different description cards. 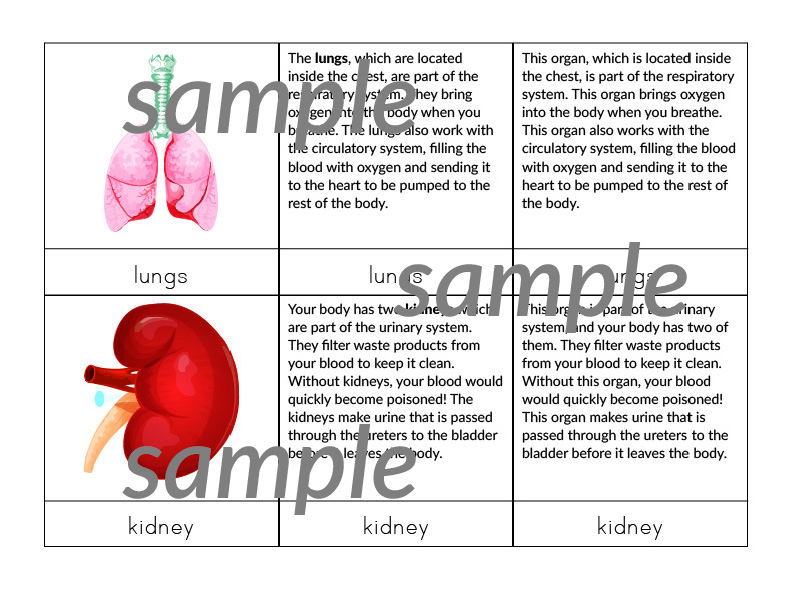 The first description card includes the name of the organ so that children can read and learn more about the function of each organ and its location in the body. 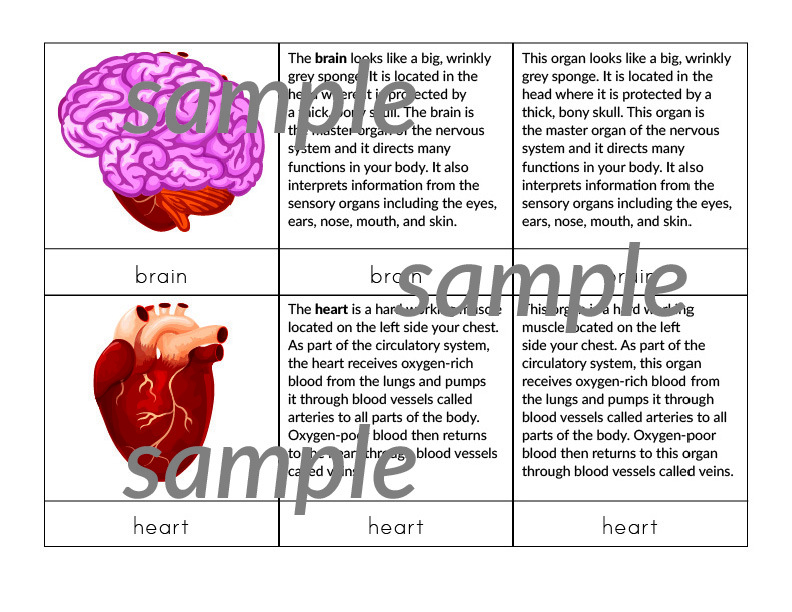 The second description card omits the organ name so your child can be challenged to match the organ description to the name or picture of the organ. 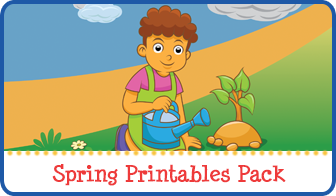 I recommend pairing these cards with the Squishy Human Body from SmartLab Toys. 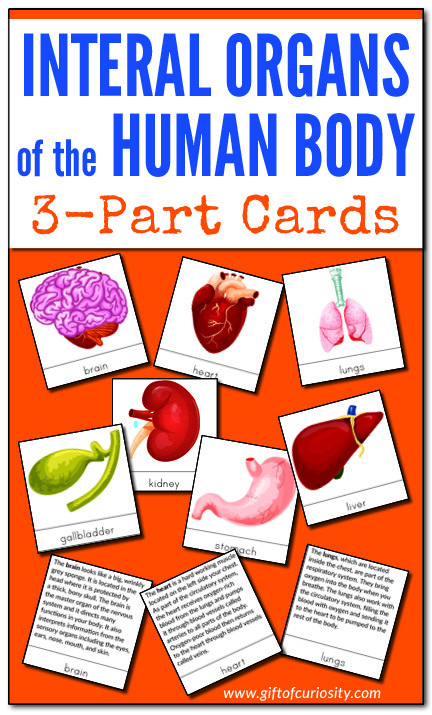 Encourage your child to match the organs from the toy with the organs on each card.